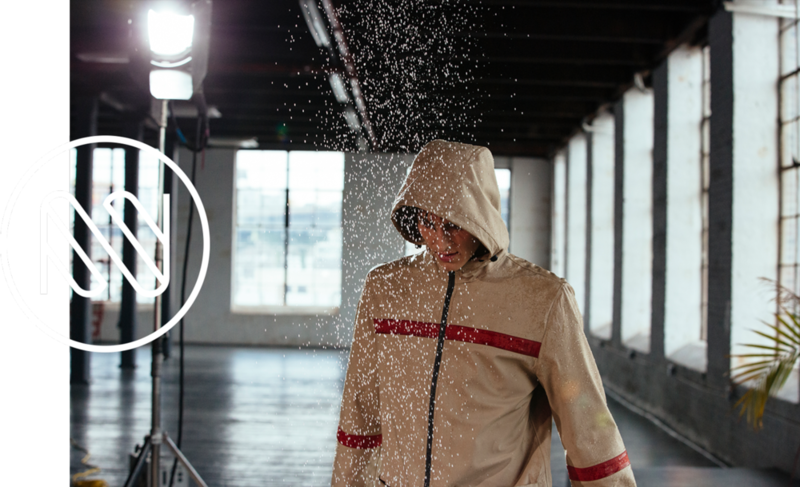 For the release of North & Mark’s new wind and water resistant jacket line, they hired us to create a series of videos, photos and GIFs that display the features of the coats in a visually striking and impactful way. The PLEASE SPACE studio in Gowanus, Brooklyn was the perfect location for us to capture this content. With it’s indoor rain shower and sprawling industrial interior, the look of the content captured was unlike anything we could have captured elsewhere. 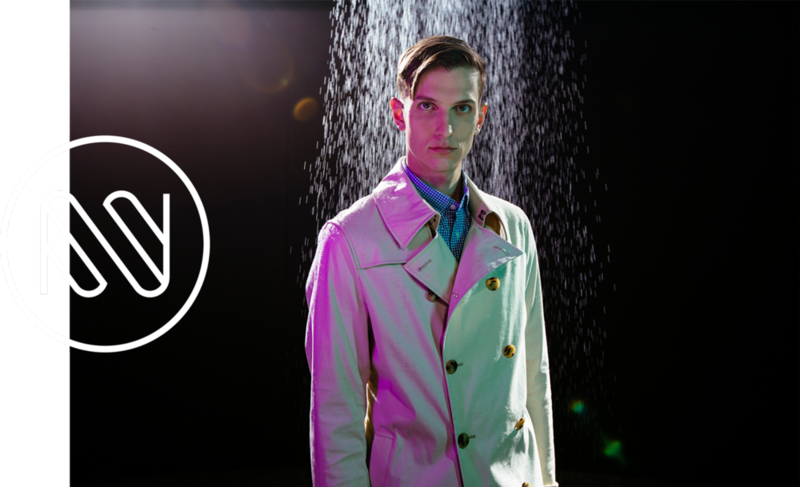 Because we were creating two videos for North & Mark, we wanted them to be vastly different from one another and also take total advantage of the interior rain we had at our disposal. The first video is reminiscent of an old Hollywood musical and the second is a moody, black box dance number. For the photography, we wanted to really embrace the vastness of the studio and create scenes that played with the “outside is inside” nature of the space. Pulling back the curtain on the photographic process with moments of visible lighting rigs and crew members also made for a super dynamic set of pictures.